Since time warps when you become a mama, here’s a watch made just for you. I’ve never been much of a watch-wearer, and more of us are in the same boat, using our smart phones to tell time. And yet, once you’re a new parent, so much revolves around time: how long has the baby been sleeping? Is it time for a diaper change? When did she last eat? And when did I put that pizza in the oven, because I am totally starving? face that’s also water-resistant–and hopefully resistant to other liquids, as I recall the hazards of those early days of motherhood. how long she’s been sleeping. Or how long since you’ve nursed. Just glance at your watch. 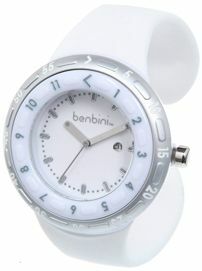 The Benbini watch made just for moms is available on their website–and shipping is free through the end of May!